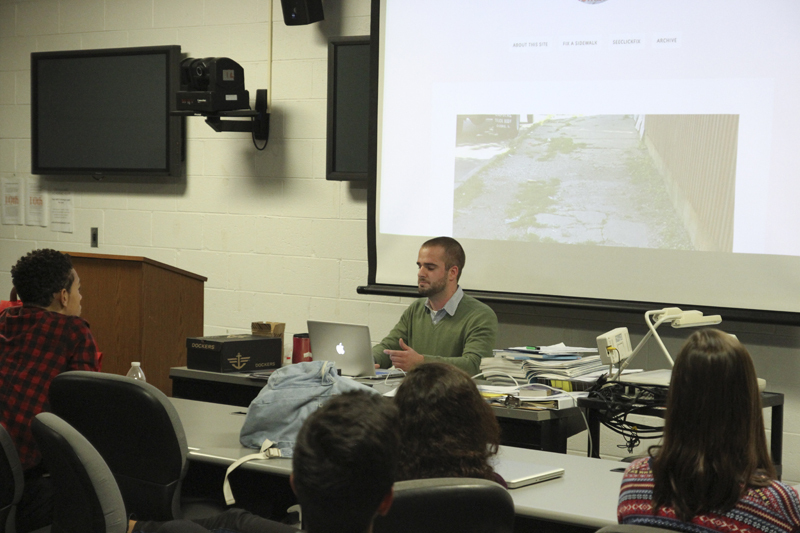 SPJ/ONA DePaul visited Walter Payton College Preparatory High School on Dec. 5 to host a social media workshop. About 30 students attended the presentation during their 50-minute “enrichment period” at the end of the school day. Members of the SPJ/ONA’s executive board showed participants different ways they can promote their skills in an academic or professional way by using various social media tools. 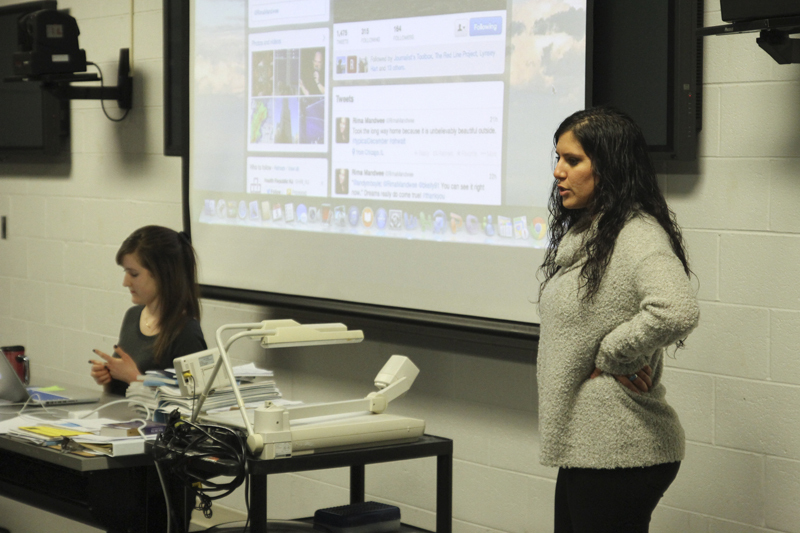 Rima Mandwee began by talking to students about the do’s and don’ts of Twitter. She explained a general rule of thumb: don’t post it if you wouldn’t feel comfortable saying it to your mom. Melanie Stone showed them TweetDeck and talked about the many uses of Twitter. Jakub Rudnik covered Tumblr and used the Red Line Project’s Chicago Stumbler page, which he works on as a teaching assistant at DePaul. Brianna Kelly discussed the benefits of creating a blog to showcase relevant interests or talents. She pulled up a few different examples on WordPress, including her own arts and entertainment reporting page. The presentation wrapped up with pizza and questions. 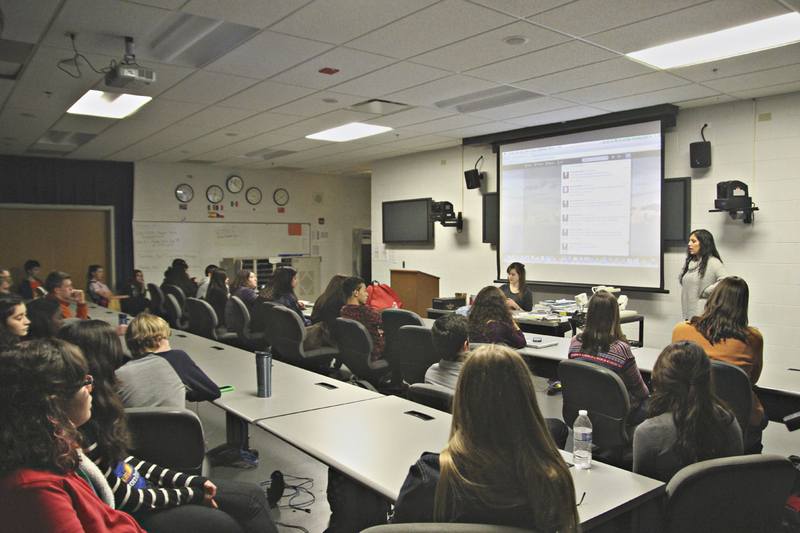 This marks the fourth consecutive year that the chapter has taught online journalism at a Chicago-area high school, following Marist (2010), Brother Rice (2011) and Gordon Tech (2012).